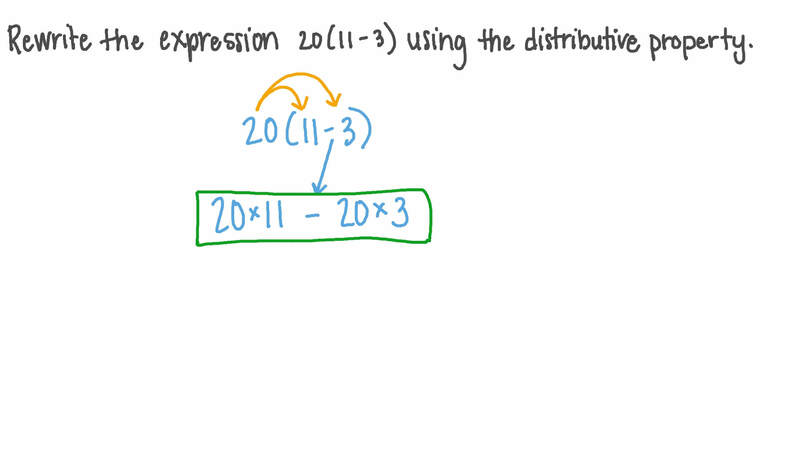 In this lesson, we will learn how to use the distributive property on numerical expressions. Evaluate 3 ( 2 6 + 1 1 ) using the distributive property. 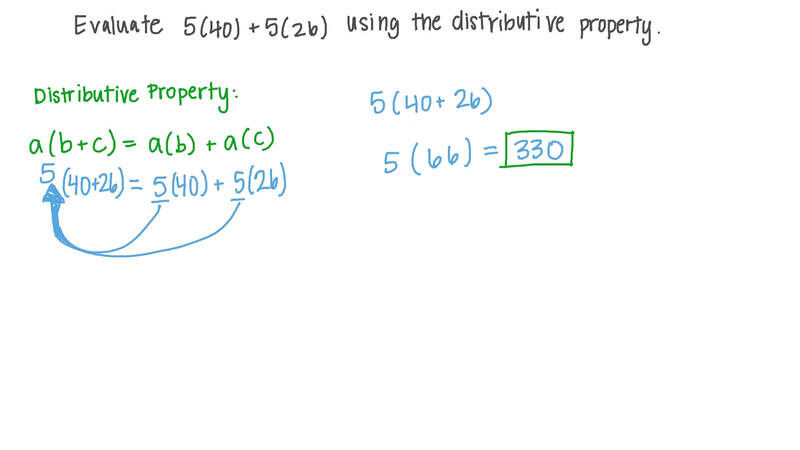 Evaluate 5 ( 4 0 ) + 5 ( 2 6 ) using the distribute property. 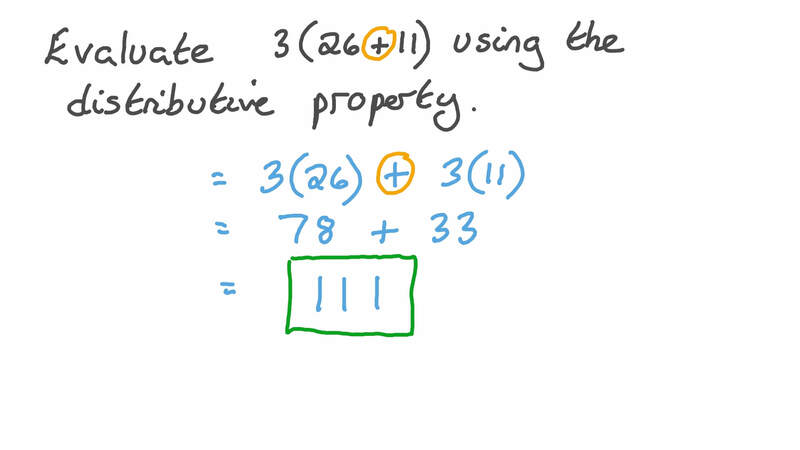 Rewrite the expression 2 0 ( 1 1 − 3 ) using the distributive property. Which of these equations is numerical? Which multiplication property of natural numbers is used in the expression 1 3 × ( 4 5 − 2 3 ) = 1 3 × 4 5 − 1 3 × 2 3 ? Evaluate 7 ( 1 9 + 1 7 ) using the distributive property. Evaluate 7 ( 4 1 + 1 2 ) using the distributive property. Evaluate 9 ( 4 4 + 2 6 ) using the distributive property. Evaluate 4 ( 4 0 + 2 6 ) using the distributive property.